Do you have Diabetes? Do you want to make the best choices for your health? We can help. This FREE 4 session workshop will be held at the Evangelical Lutheran Church, Mankato KS from 5-7pm. Event Dates will be October 23rd & 30th, November 6th & 13th. Registration is required by October 19th or until class is full. Register by calling (785) 378-3174 or at www.postrock.ksu.edu. 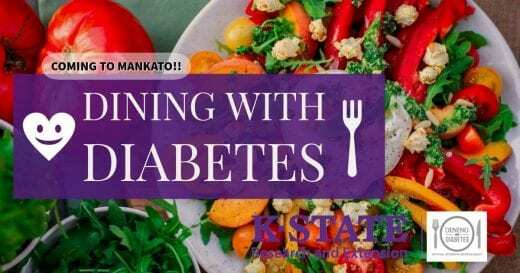 Please contact Ashley Svaty at asvaty@ksu.edu with any questions about the Dining with Diabetes program. The Post Rock Extension District Dining with Diabetes (DWD) program fee is $25.00. 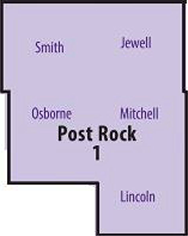 Due to funds provided by the Dane G. Hansen Community Grant Fund for Jewell County and Post Rock Extension District, the DWD program fee has temporarily been reduced to $0.